Having to file a workers’ compensation claim for the benefits you know you deserve can be disheartening and stressful. Hopefully, you have hired an experienced workers’ compensation attorney who can take care of filing your claim and obtaining all the documents, witness statements, and other information to ensure that you obtain the best settlement possible. However, you also play an important role in your workers’ compensation case. Chances are you will have to answer questions at a deposition taken by the insurance company’s attorney. How you handle this deposition could have huge consequences to the settlement of your case. What Is the Point of a Deposition in Your Workers’ Compensation Case? At your deposition, you will answer questions under oath that will be later typed up into a written statement to be used at your trial or other hearings in your workers’ comp case. While it will be at the office of the attorney for the insurance company, it is similar to the testimony you will give at your trial except that the judge is not there. You are giving your answers under oath, which means you must answer each question truthfully and to the best of your knowledge. Find out your version of the accident, how you were injured, how you claim your injuries have affected your day-to-day activities, your medical treatment, and your prognosis. Determine if you have any pre-existing injuries that could have caused your injury instead of your workplace accident. Evaluate your credibility—or believability—as a witness. Get you to admit something harmful to your case, like that you can really perform activities that you claim you are unable to do because of your accident. Obtain other testimony that is inconsistent with prior statements you made or that will be different from your testimony at trial which he can use to discredit you as a witness. Listen to the question. You should listen to the entire question before giving your answer. You do not want to answer the wrong question or give unnecessary information. Only give oral answers. 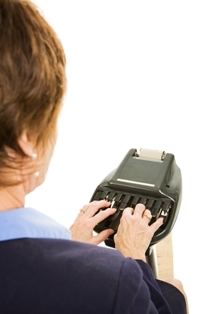 A court reporter will be present transcribing everything that is said during the deposition. Be sure to answer the questions out loud and clearly. She will not be able to record a nod of the head or an “uh-huh” answer. Don’t give additional information. You may be tempted to give a very detailed, long answer with additional information you think will convince the attorney you are right. Don’t do this. You may give information that could harm instead of help your case. Only answer the question being asked and give a short answer or “yes” or “no” when appropriate. Don’t guess. Be sure you understand the question and ask the attorney to explain it further if you don’t. The attorney has the right to assume you understood a question you answer—even if you made a mistake—and use it against you later. If you do not know the answer, say so rather than make up one. Stay calm. Even if the attorney says things that make you angry or nervous, try to stay calm as this will show what a good witness you would be at trial and help you give better answers. Do not argue with the attorney. Take a break. Your deposition can take two hours or more. You can ask to take a break to go to the restroom or to stretch if you need to. If you were injured in an accident at your job, I am here to help you through the workers’ compensation claim process—including your deposition. Start an online chat to schedule a free, no-obligation consultation.